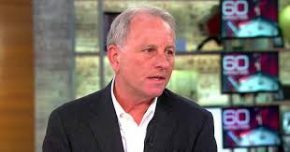 63-year old Jeff Fager was under investigation following reports that he groped women at parties and tolerated an abusive workplace. His departure comes just three days after CBS Chairman Les Moonves was ousted following sexual misconduct charges against him. Fager has denied the charges. “60 Minutes” is the most popular and powerful network news broadcast on U.S. television. Fagar was just the second person in charge of the program. He succeeded founding executive Don Hewitt in 2004.